Mother’s Day is a wonderful opportunity to honour all the women in our lives who have mothered us at one time or another: grandmothers, teachers, nurses, school bus drivers, and (we’re talking to you husbands out there) wives. This year, when the second Sunday of May arrives, will you be treating your mum (or mum-equivalent) to a bouquet of seasonal chrysanthemums? A box of chocolates? Breakfast in bed? Brunch with the family? These are all wonderful gifts, of course, but when it comes to Mother’s Day, we think a gift of lasting beauty trumps flowers and edibles anytime! There are many practical gifts that satisfy a mum’s needs and many not-so-practical gifts that satisfy a mum’s wants. Few gifts, however, are something mums not only want, but can use every day. Regardless of their age, women want to feel beautiful and desirable. Beautiful skin goes a long way towards boosting self-esteem, but many mums simply don’t think about giving themselves the pampering they deserve. That’s where dermaviduals comes in. 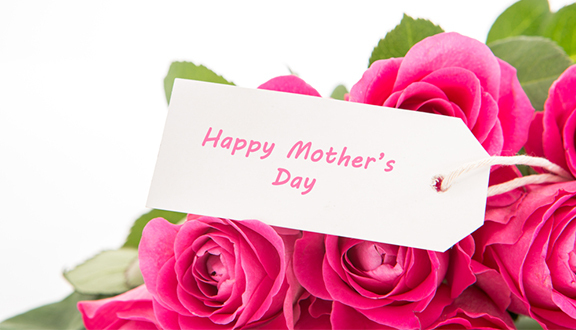 We’d like to suggest that you treat your mum to a gift of cosmetic skin care and snag a gift for yourself, as well! Skincare is especially important for youthful mums. Many new mothers complain of dry, puffy or reddened skin with poor texture because changing hormones and a lack of sleep can all take their toll on the skin. The right products used daily can help restore the skin’s radiance. For mothers whose offspring have long since left the nest, skincare is just as vital. The natural effects of ageing can leave skin looking dull, and exposure to the sun can leave skin dry and blotchy. Products designed for ageing skin can bring back the glow of youth and diminish the signs of ageing. For all women, combatting stress, sun exposure, and environmental toxins can be quite a challenge. Fortunately, dermaviduals has something for everyone. All our skincare products are formulated to maintain the natural skin barrier and thwart premature skin ageing. What makes our products unique is that they can be individually adapted to address unique skin conditions. dermaviduals skincare products make extra special gifts because they’re precisely the kind of items that mums rarely purchase for themselves. So this Mother’s Day is your chance to really knock her socks off with an indulgent present. Whether you choose a lotion, eye cream, mask, or facial tonic, you can be sure that you will be giving a gift of the highest quality. We’d like to give you a gift, too. When you select two dermaviduals products for your mother, we’ll send you a free 50ml DMS hand cream and dermaviduals cosmetic case to keep for yourself. Your mum will be very proud of how thrifty you are.